The Smithsonian National Museum of Natural History is the most visited natural history museum in the world, welcoming approximately seven million visitors a year. 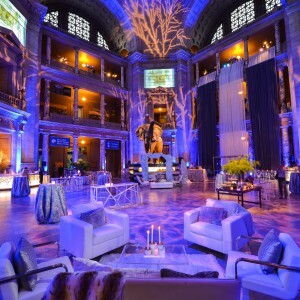 With its unparalleled collections and monumental architecture, it is also a premiere site for after-hours special events for receptions ranging from 35 to 3,500 guests. The four-story, domed Rotunda can accommodate seated dinners up to 400 guests. 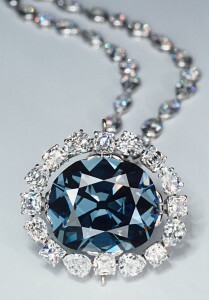 Popular galleries for special events include the Ocean Hall; Mammals Hall; Hall of Human Origins; and the Hall of Geology, Gems, and Minerals – home of the legendary Hope Diamond. Corporations and organizations that support the Museum through an unrestricted contribution are invited to celebrate their gift with an after-hours special event. Please contact the Office of Special Events for donation information. Site may not be used for personal events (e.g., weddings) or marketing, political, or fund-raising events. In-house A/V equipment is not available. Metro Station: Smithsonian or Federal Triangle. Events are permitted in the evenings after 6:30 p.m. This site is ADA compliant.